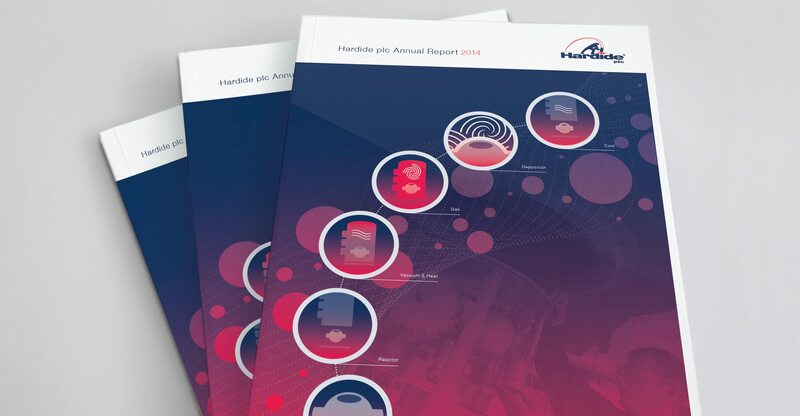 We are proud to announce the design of our latest Annual Report for Hardide plc. Since 2007 Veucom has produced the Hardide plc annual report and accounts document, which is available in print and online. Hardide plc is the Parent Company of Hardide Coatings Ltd, the leading global innovator and provider of advanced tungsten carbide coatings. The Hardide family of patented coatings significantly increase the working life of critical metal components in many industries including Oil & Gas, Aerospace, Flow Control and Advanced Engineering. The 2014 report, designed by Veucom, features a graphic representation of the coatings CVD (Chemical Vapour Deposition) application process.